An effective market is dependent on that timely and relevant information is available. This applies also on the timber market. In the past it has been difficult for the mills to acquire specific information about timber quality from a certain timber supplier because of the cost related to the necessary measurements. With the utilization of airborne laser scanner data, this might change. 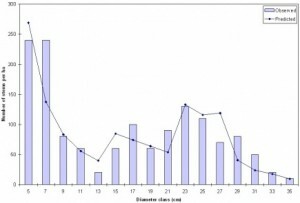 The size distribution of trees in a stand is closely correlated with timber quality. Also the height from the ground to the green crown holds significant information about quality. Both these parameters are closely related to the vertical and horizontal distribution of the canopy. Figure 1. Diameter distribution predicted from laser data (line) and observed diameter distribution (bars) from in an uneven-aged forest in Norway. 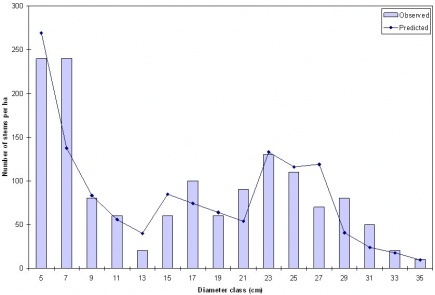 The value of each diameter class refers to class centre. Airborne laser scanner data depicts this structure, and the motivation for this project was to take advantage of this to develop an operational system for predicting timber quality parameters. 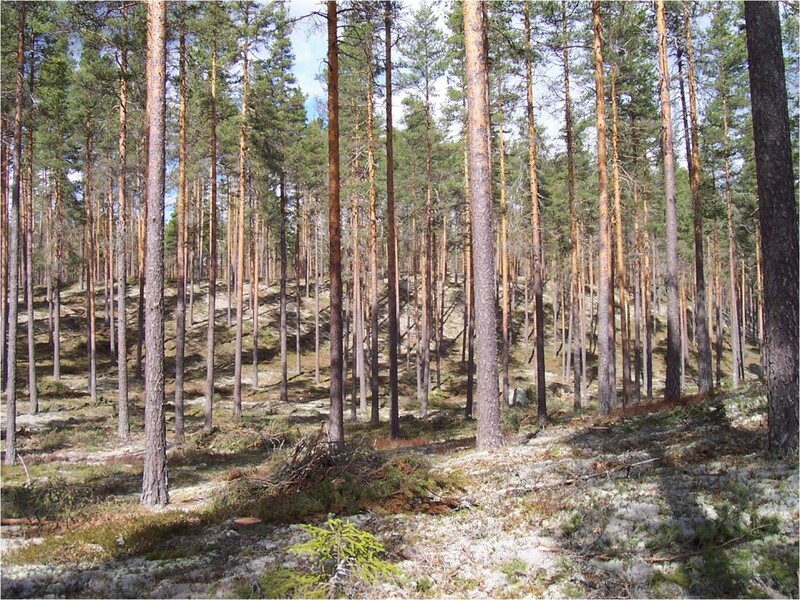 Project title: Assessing wood properties of forest resources by airborne LIDAR (2006-2009).